We all know ophthalmic doctors spend a lot of time measuring the human eye—usually to prescribe corrective lenses. But often, eye care professionals measure the strength of existing eye glasses and contact lenses, too. This is where lensometers come in. 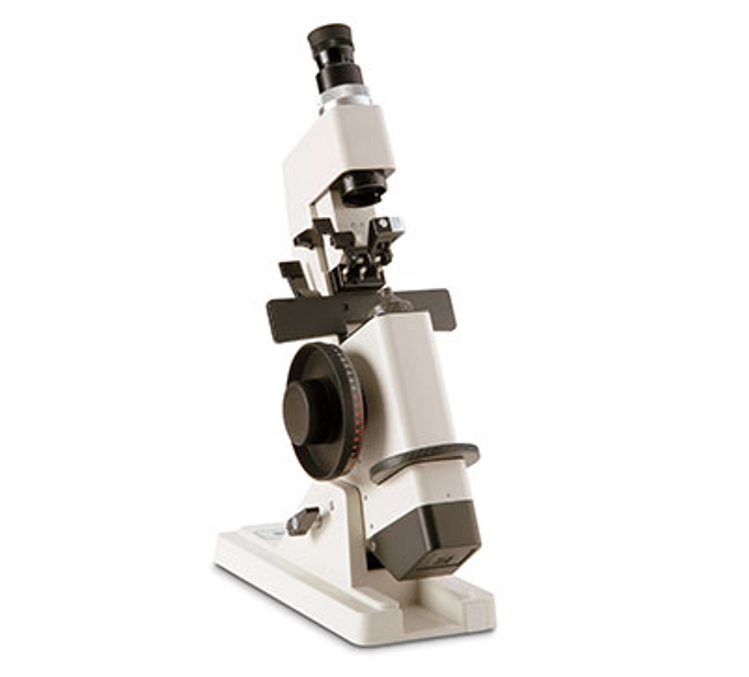 Also referred to as lensmeters, lensometers are ophthalmic instruments that measure prescription lenses to determine the sphere, cylinder, axis, and sometimes prism—an invaluable tool to eye care professionals. Let’s pretend a patient visits the optometrist for a very overdue eye exam. This patient has an old pair of eyeglasses, but no up-to-date prescription and no recollection of the glasses’ strength. Instead of starting from scratch, the ophthalmic doctor uses a lensometer to determine the strength of those lenses, expediting the eye exam. That way, even if the patient’s vision has changed, the doctor has a more accurate starting point. Put simply, a lensometer is an instrument used by eye care professionals to verify the prescription of an existing pair of glasses. But lensometers are also used to ensure accurate mounting of lenses in the frames, along with orienting and marking uncut glasses. While they can be manual or automatic, all lensometers essentially neutralize the power of the lens being measured using a telescope, displaying the resulting prescription. The technology that brought the lensometer to be can be traced as far back as 1848, when Antoine Claudet created the photographometer, an instrument that could measure the intensity of photogenic rays. The following year, Claudet—a photographer and artist—purchased the focimeter, more commonly referred to today as the lensmeter or lensometer. The reason for his purchase being to lock down the perfect focus in photographic portraiture. Fast forward to 1876. Herman Snellen, an icon in ophthalmic instrument history, invented the phakometer. 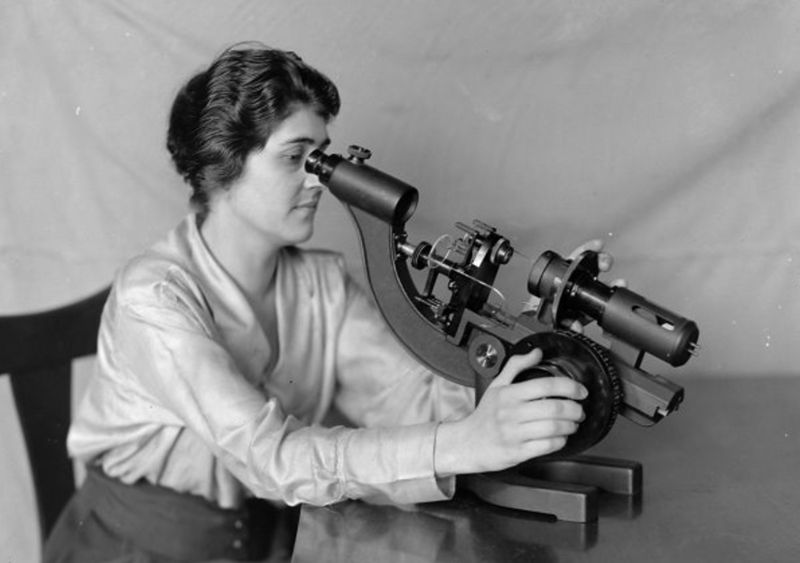 The phakometer was used to test the accuracy of lenses, similar to the optical bench. However, it wasn’t until 1912 that the first direct measuring instrument was invented—and finally, in 1922, the first projection lensometer was patented. 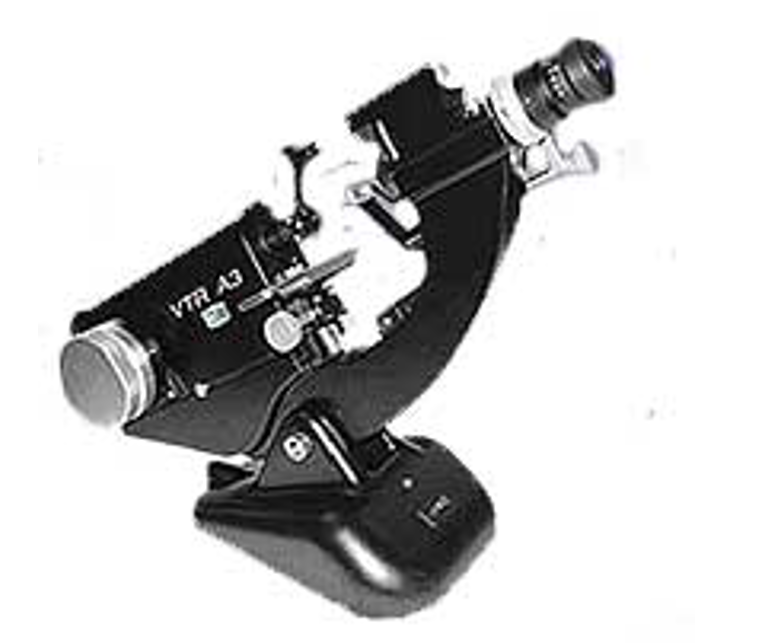 Now, the projection lensometer is different from the standard lensometer as it projects the target being measured onto a screen, as opposed to the ophthalmic professional looking into a small telescope. Technology has grown rapidly in just about every industry—particularly the medical field—and autolensometers are the technological step up from manual lensometry. While manual lensometers can read the data of prescription eye glasses, autolensometers eliminate the subjective nature, reducing operator error and offering repeatable measurements. Better yet? Autolensometers are quick and typically easy to use—printing out the measurement data once the analysis is complete. combines the traditional features you would expect, with innovative advantages, such as LED illumination and cord-free battery power. 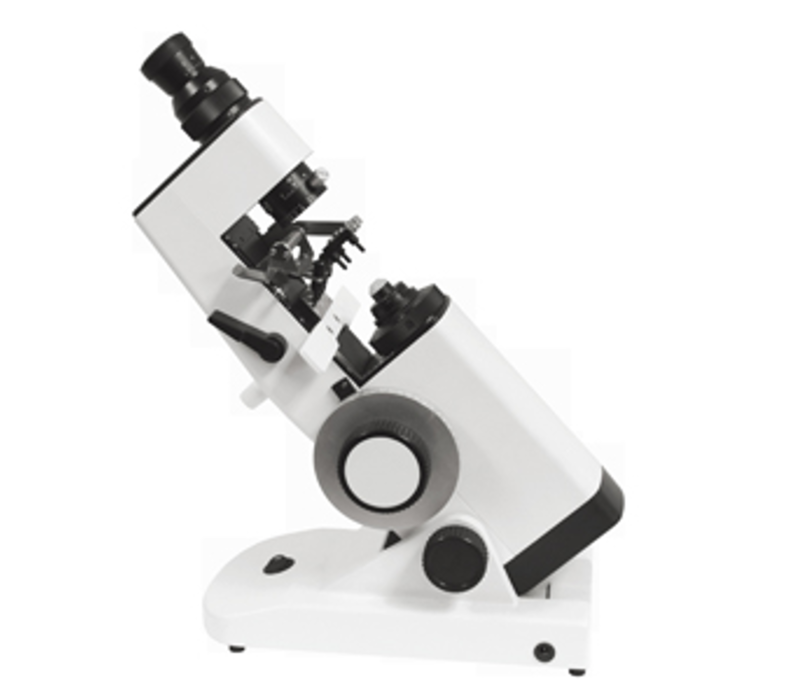 The Aries Lensometer offers accurate measurements and sturdy construction for reliable performances during years. 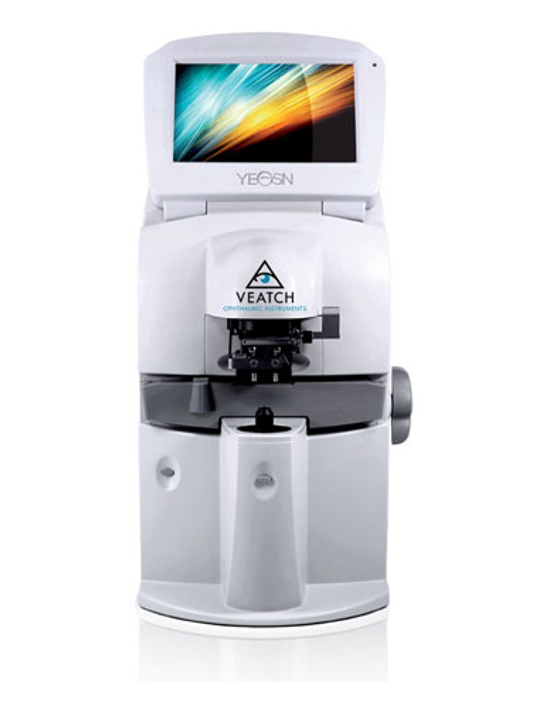 The Veatch Gemini Lensmeter is an external reading lensmeter with a prism compensator. The popular American style target provides easy and accurate readings of any lens from 16-100mm in diameter. The power wheel is magnified, and the axis scale is internal for easy readings. 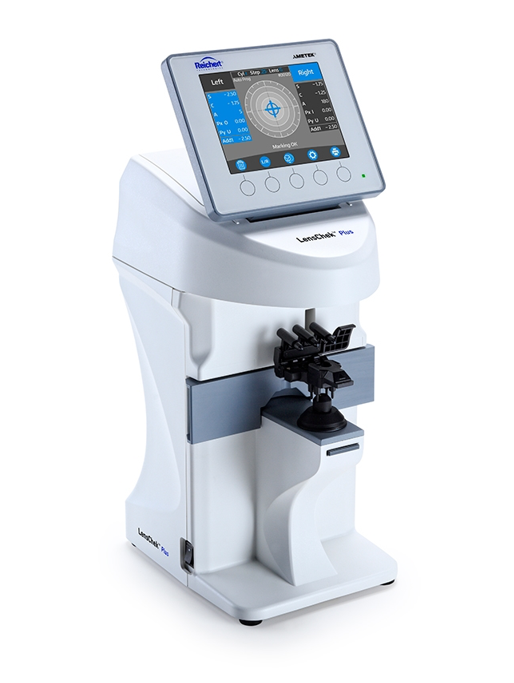 The ALL-NEW Reichert LensChek Plus Digital Lensometer offers the easiest lensometer user experience available. For example, when the target is aligned with the correct optical center, readings can be automatically "locked in" ensuring fast, repeatable, and reliable lens measurements. 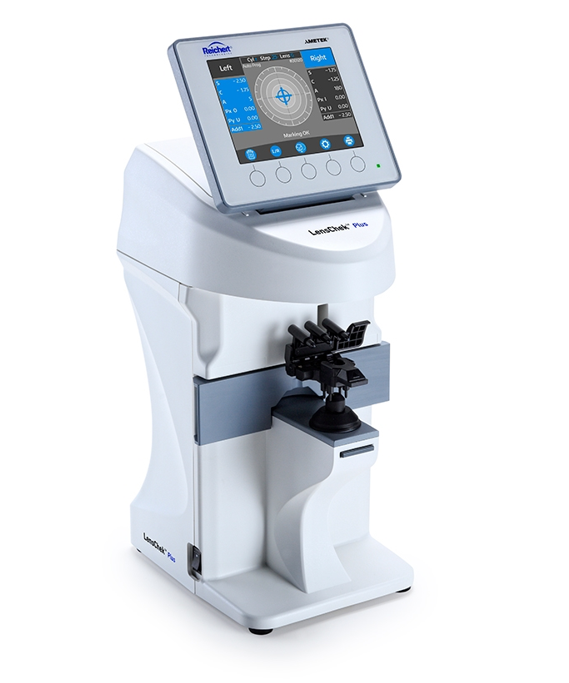 The ALL-NEW Reichert LensChek Pro Digital Lensometer offers the easiest lensmeter user experience available. For example, when the target is aligned with the correct optical center, readings can be automatically "locked in" ensuring fast, repeatable, and reliable lens measurements. LensChek Pro additionally features UV transmittance and PD measurement. The Potec PLM-6100 Auto Lensmeter offers accurate readings of multiple lens types all in a compact and slim design with a small footprint. Touch screen operations on a bright and clear LCD display allow for ease of use. The PLM-6100 easily connects to your existing Potec equipment. Measures single, double, and triple focus lenses, as well as progressive and severe myopia lenses and pupillary distance. 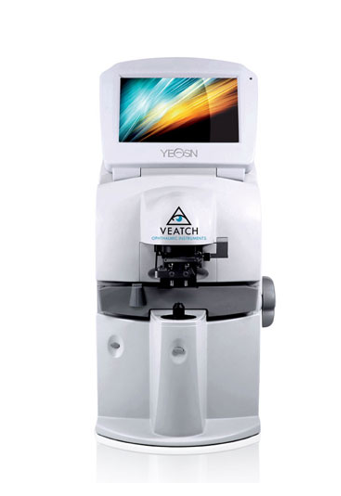 The Yeasn LightSpeed Auto Lensmeter is true wavefront for optimal performance. The built in Hartmann Shack sensor and Green LED light capture provide the highest of accuracy. The Green LED technology eliminates errors due to varying abbe values. The unique parallel processor provides amazingly fast data guaranteed in under 50ms! The LightSpeed is a full service Auto Lensmeter at an affordable price. 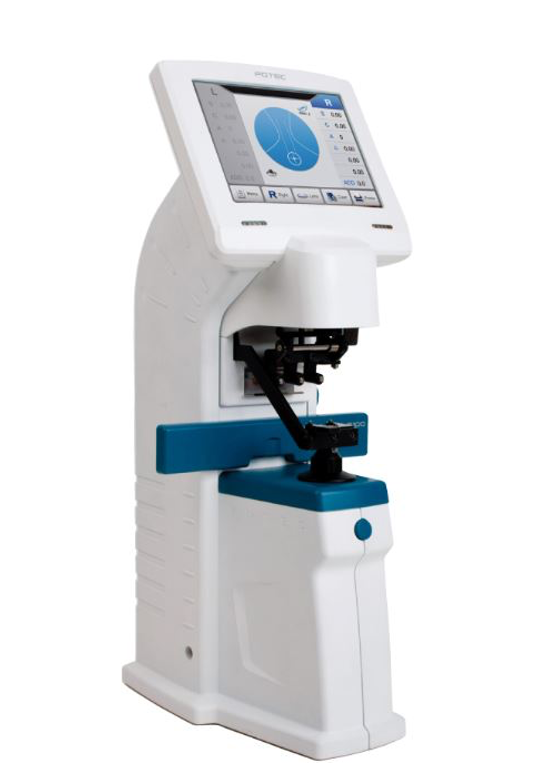 The Reichert AL200 auto lensometer is easy to use so that any member of your staff can obtain accurate lens measurements with minimal training. 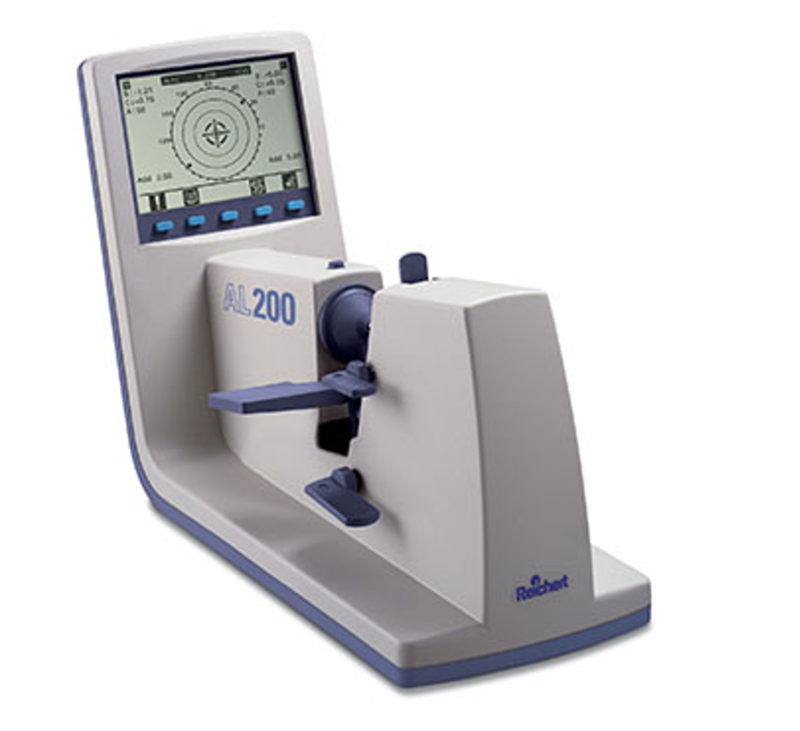 Designed to eliminate the subjective nature of manual lensometer readings, the AL200 reduces operator error and provides repeatable, objective measurements every time. It's never been so easy to step up to the convenience of an automatic! While Veatch is a leading provider of lensometers, we also offer general maintenance and repair services—a huge long-term benefit to customers. Setting up your practice: Veatch technicians help maximize your efficiency, optimize the placement for electrical needs, and recalibrate pieces once the move is done. General maintenance: To help prevent problems down the road, technicians are available for general maintenance. Repairs: If your piece needs more in-depth repairs, Veatch technicians are factory-trained and highly skilled in working with the intricate technological instruments. There is both local and remote support, and the company offers a unique loaner program that allows practices to rent equipment until their repairs are complete. If the piece is still under warranty, practices may even be able to rent the machine for free.